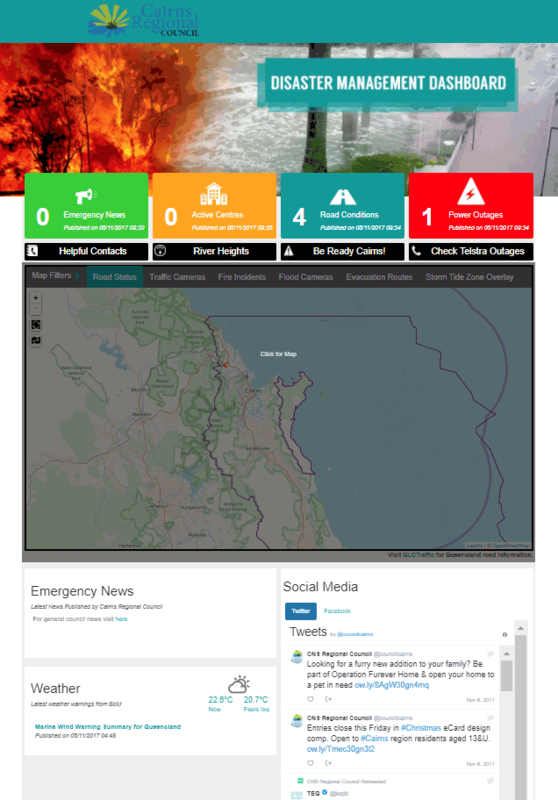 Click image to view real-time disaster information. 🎂 🎉 This Thursday we are celebrating the 10th birthday of the Stratford Library. Join us for a celebratory morning tea from 11am, with Councillor Linda Cooper on cake cutting duties! The original Stratford Library operated on the site of the current building from 1956. In 2008 the old library building was demolished and replaced with a new facility. The new Stratford Library building was officially opened on 17 April 2009. Today the library is visited by 7,800 customers each month, boasting 13,155 items on shelf, including 3,150 Adult fiction books, 2,166 DVD’s and 328 magazines. *** Update 4pm *** Our crews have made good progress and are still working to rectify the issue. Water supply to effected properties is expected to be restored within the next two hours. ********************* A large water main has broken, affecting the Cairns CBD, including Minnie St, Florence St, and sections of Mulgrave Road. Council crews are on site and advise that it be may be several hours until water supply could be restored. Next update at 4pm. Five key opportunities to transform the CBD were endorsed by Council earlier this week when the City Centre Master Plan was adopted. Find more information on the City Centre Master Plan at https://bit.ly/2I9GgII The Esplanade dining precinct, Cairns Gallery Precinct, Florence Street pedestrian spine, improved playgrounds and boardwalks all feature in the plan. Find out what exactly happened on Friday night at the Cairns Performing Arts Centre and what we are doing to prevent it from happening in the future. ⚠️ Our Council Customer Service Desk at Earlville Library is closed this afternoon. Other library services can still be accessed as usual. The Customer Service Desk will re-open at 9:30am tomorrow. The Sapphires stage shows at Cairns Performing Arts Centre will go ahead as scheduled today after a couple of technical issues caused the show to be called off in the second act last night. The audience left the theatre for a short period last night due to a false fire alarm being triggered. After the intermission, The Sapphires production unfortunately experienced audio issues causing drop out and noise and the show had to be cancelled. Both the touring productions technicians and CPAC technicians worked through the evening to find the fault and resolve the audio issues. CPAC was able to provide some substitute equipment to enable the rest of the Cairns season to proceed. We’re really sorry this inconvenienced our patrons and have offered everyone the opportunity to attend today’s shows at 1pm or 7.30pm, or get a full refund of their ticket. If you have a ticket, please contact the box office as soon as possible to rebook your seat for today’s shows. **UPDATE** The landslide has been cleared and both lanes are open. The landslide site on Redlynch Intake Road has slid once again with the wet weather. We are working to get the material removed. While these works are underway the road will be down to a single usable lane, with intermittent closures for loading the debris onto trucks. Take care when driving through the area please be patient while we are working on clearing the road. 🌧️ Lower Freshwater Road has been closed due to flooding, as the wet season continues to hang around our region. Remember: Don't drive through flood waters! If it's flooded, forget it! The Bureau Of Meteorology has issued a Minor Flood Warning for the Mulgrave River and a Flood Warning for the Russell River. 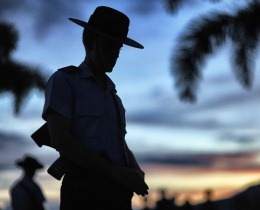 You can get more details on our Cairns Disaster Coordination Centre page. 🏕️ While it may not look like it right now, camping season is almost upon us. This Jayco camper trailer is currently available at our Buy Back Shop and we are selling it via a silent auction. HOW TO BID 1️⃣ Come to our Buy Back Shop at the Portsmith Transfer Station to inspect the trailer. 2️⃣ Place your bid while you are there. 3️⃣ The trailer will go to the highest bidder. Bidding ends at 4pm Wednesday, April 10. The countdown is on. Join the rest of the world and show you care for our environment by switching off for EarthHour, tonight at 8.30pm. 🛣️ Barron Gorge Road reopened! We have completed the removal of the slip that occurred on Barron Gorge Road on March 19 after heavy rain. Cairns’ Biggest Garage Sale is on this Saturday, 8am to 2pm. Over 100 addresses from Palm Cove to Babinda have registered a sale. 📍 Find all the addresses at https://bit.ly/2HWiAXl 🤝The event supports Neighbour Day, encouraging people to get to know their neighbours. ⚠️💧 Low Water pressure affecting Holloways Beach due to a broken water main. Council crews are working on rectifying the issue. Estimated time to complete is 4 hours.